Students who participate in Historic New England’s Rally ‘Round the Flag program step into the past to learn about life during the Civil War. This hands-on program lets students gain a deeper understanding of life during the Civil War. As they learn about engineering and the magnitude of the Civil War by building a pontoon bridge and practicing an artillery drill, students learn to encode and decode messages and send the messages with signal flags. They also explore Civil War-era medicine. Historic New England’s education staff recently spent the day at the Solomon Schechter Day School in West Hartford, Connecticut, and brought shawls, bonnets, skirts, uniform hats, jackets, haversack, and other props for a photography session. 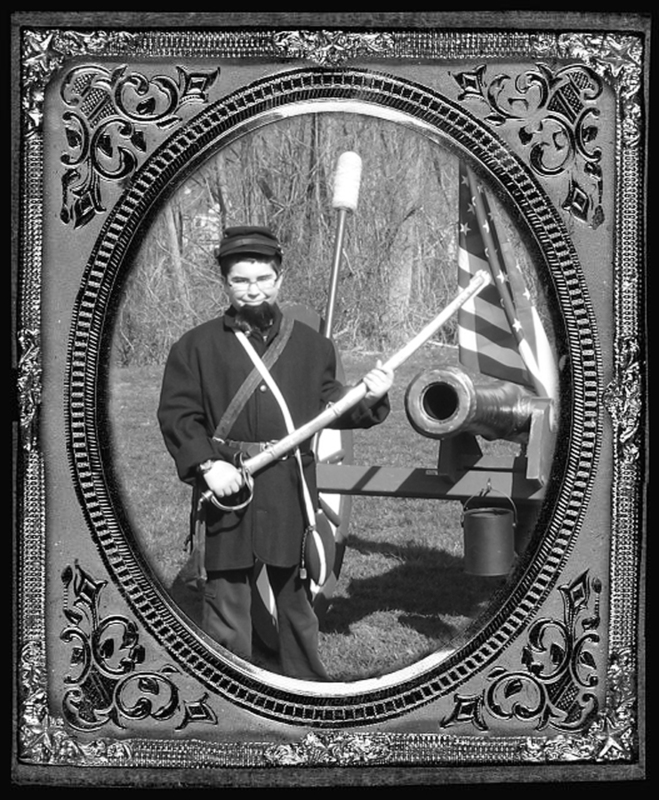 During this session, students interviewed a Civil War soldier to learn about his life, and dressed in a soldier’s uniform or the costume of a civilian girl. They quickly discovered how hot and uncomfortable a wool coat and hat can be or how awkward it is to move with a long, heavy skirt. Each student is photographed in costume. The images were finished with a sepia tone and appropriately framed as a memento of the program. Learn more about Historic New England’s school and youth programs.